In July, my family went up north for a quick visit and to bring Grandma down to the Cities. She was to stay a while with my parents before visiting the Michigan branch of her family. This was the only true yarn shop that we visited. It’s in an older building, with adorable window decorations. I was pleased to see a loft with a table and chairs, obviously used for classes or gatherings. This is a small shop, but has a good, basic selection of wools and blends (e.g. Mission Falls, Plymouth) and cottons (plenty of Lily Sugar ‘n Cream, including the newish Twists). The books and patterns vary in topic, with socks and baby items well-represented, and in type, hardcover books, Leisure Arts and American School of Needlework, and leaflets. The needle/hook selection was very small, and I remember that there were only circular needles. The shop, situated a few blocks south of E Washington St, was a great spot for shopping. I spied a bead shop, a cafe/coffeehouse, and a bookstore across the street from Between Friends. The saleswoman (she may have been one of the owners) told us about a person with a studio a few blocks away, who spins and dyes her own yarn. We also were told that Freyja’s,* another planned stop, was no longer in business. 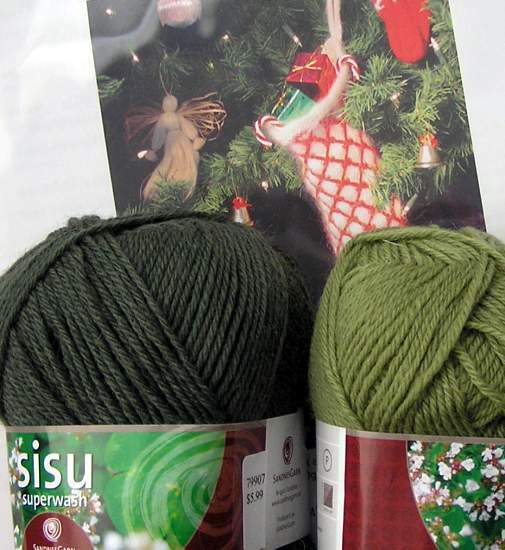 I used my Yarn Diet free pass to purchase some Sisu yarn for myself, because there was a good selection of solid colors in the shop and I hadn’t ever used it before. (Perhaps there will be a pair of mosaic socks for myself in the future?) I also got the HeartStrings Winter Solstice stocking pattern leaflet. 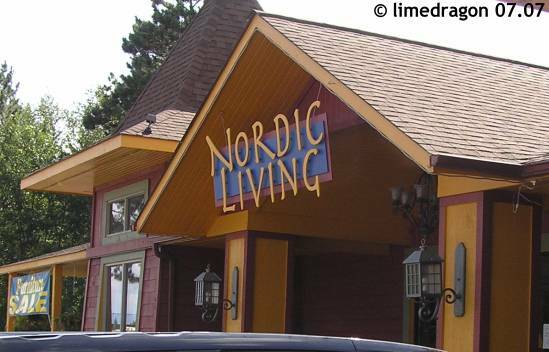 Nordic Living, Inc. Updated April 2008 – This shop is now closed. This gorgeous shop is hidden behind a line of pines just off State Highway 371. It was full of Scandinavian gifts and housewares. (I think it’s similar to Ingebretsen’s in Minneapolis if you’re familiar with that shop.) A corner was filled with yarn and related accessories. The yarns included Dale of Norway, Mountain Colors, and Brown Sheep. I got to see (and was very tempted by) the new Serendipity Tweed. This corner was very cozy with a small table nestled amongst the wool-filled shelves and lovely samples on display. I didn’t examine the book selection, but there were racks full of magazines and Dale of Norway pamphlets. Mom and I both liked different shawls from this booklet, and I also picked up an extra set of US 1 DPNs because I had just lost one somewhere in Grandma’s carpet! This shop is located in a newer retail area, right next to a Famous Dave’s. The yarn area is in the back, while the front section is comprised of clothes and jewelry. After the cozy corner at Nordic Living, this shop seemed stark with its high walls and track lighting. However, it wasn’t lacking in yarn: one unit was full of Malabrigo and I remember seeing some Jo Sharp, and (I think) Debbie Bliss. There were a couple of book carousels and a decent collection of pattern leaflets. 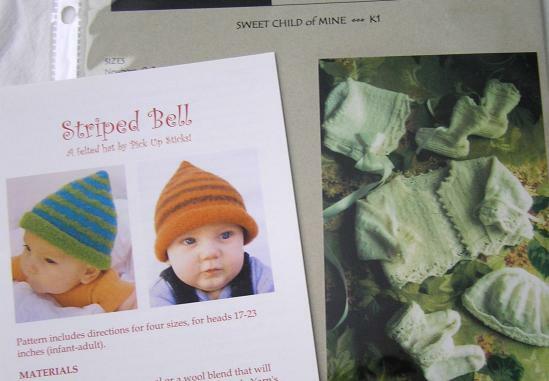 I got a Black Purl leaflet for myself to use for baby gifts, and the Striped Bell hat for my Knitter’s Virtual Vacation Swap Pal. 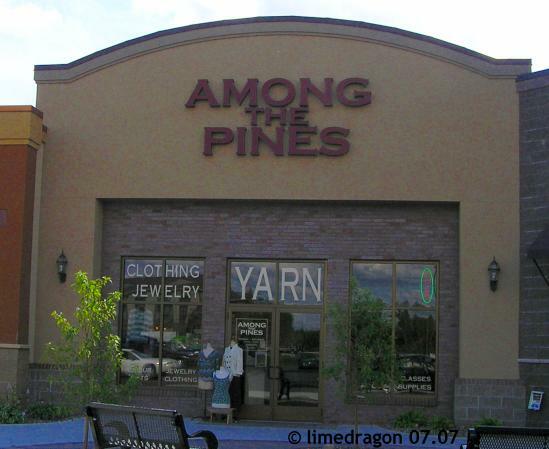 The clerk at Among the Pines told us about another LYS, Unraveled in Pequot Lakes, that I had missed on the list of shops I used. I definitely want to stop there next time I travel through the area! 31069 County Road 112, Suite 400 414 So. 7th St. Very nice. I’m glad to hear there’s another yarn shop hop again. Ah… it’s so much fun to hear other yarn stores. I’ve been to Freyja’s, but none of the others. I’m sorry to hear Freyja’s is closed. They had a very good coffee shop as well as a bunch of good yarn. Sounds like a great crawl. Shawls! 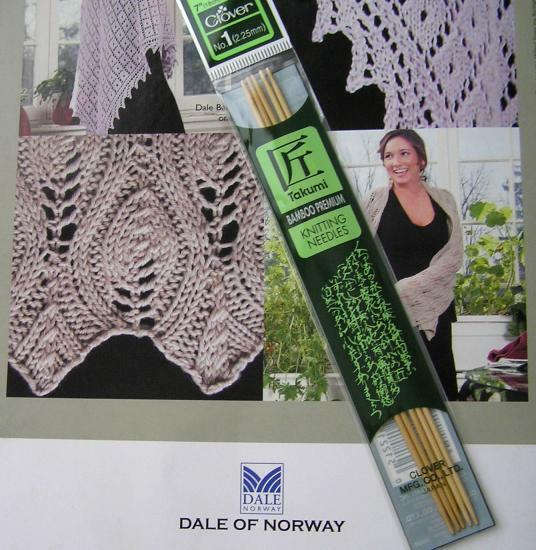 Dale of Norway patterns! Yaaaaarrrrrn shopsssssss. Sounds like a great crawl! I know you have been busy, but if you have a moment please consider posting your answers to the Q&A Contest. Those Gryffindors have entirely too much of a lead! Thanks for the tips! I’m headed that direction next week & am planning a crawl myself!